100% Sustainably, Ecologically grown Natural Ingredients! 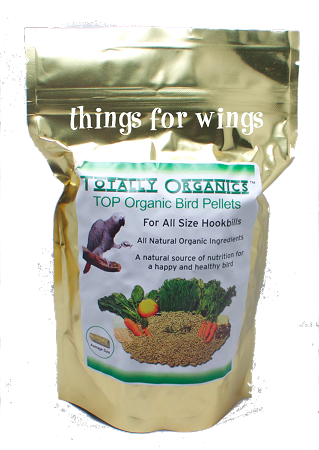 TOP’s Parrot Pellets are made with all natural Sustainably, Ecologically grown ingredients. Every ingredients by itself is a healthy parrot food. The pellets are manufactured in a cold pressed process, which keeps the natural nutrition in the original ingredients intact. TOP’s Parrot Pellets are readily accepted by most parrots. Harrison's Adult Lifetime Mash 1lb. Harrison's High Potency Super Fine 1lb.